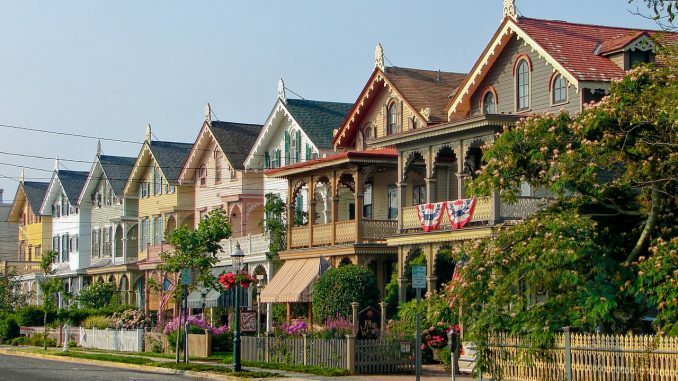 There are a lot of cities that are historic in their own rights and there are a lot of cities filled with historic landmarks, but the entire city of Cape May, New Jersey is a National Historic Landmark. 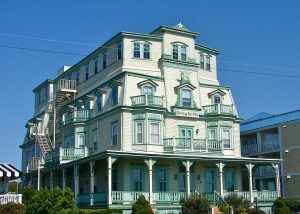 Due largely to its concentration of Victorian buildings and homes, Cape May was declared a National Historic Landmark back in 1976. The year round population of this little city at the southern tip of Cape May Peninsula has been hovering around 4,000 for many years, but in the summer months when the weather is nice and the families are visiting from New York City or Philadelphia, the population can boom to more than 50,000. The monstrous Victorian Morning Star Villa from 1884. Named after Dutch captain, explorer, and fur trader Cornelius Jacobsen Mey, who in the 1610’s established a claim for the province of New Netherland, Cape May covers less than 3 square miles. 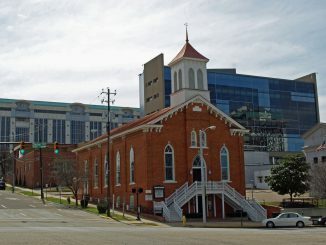 In 1878 a five day long fire destroyed more than 30 blocks of the town center and it was determined that all new construction should maintain the original feel of the already 200 year old city. The seaside town has a long tradition as a getaway for nearby city dwellers, and being established as a township long before the founding of the country in which it resides adds to its historic importance and provenance. The only US city with more Victorian homes in San Francisco, California. In 1976, Cape May was officially designated a National Historic Landmark as the Cape May Historic District, becoming the only city in the United States wholly designated as such. Cape May began hosting vacationers from Philadelphia in the mid 18th century and has been recognized as the country’s oldest seaside resort. Cape May was recognized as one of America’s top 10 beaches by the Travel Channel. After being established as New Netherland, Cape May was settled by New Englanders and briefly called New Haven Colony.